Beyond today's horizons lie uncountable wars still to be fought by mankind - on battlefields, against foes, and with weapons that can only be imagined. With Horizon Wars, wargamers can bring these future conflicts to the tabletop, no matter their exact vision of the future of warfare. 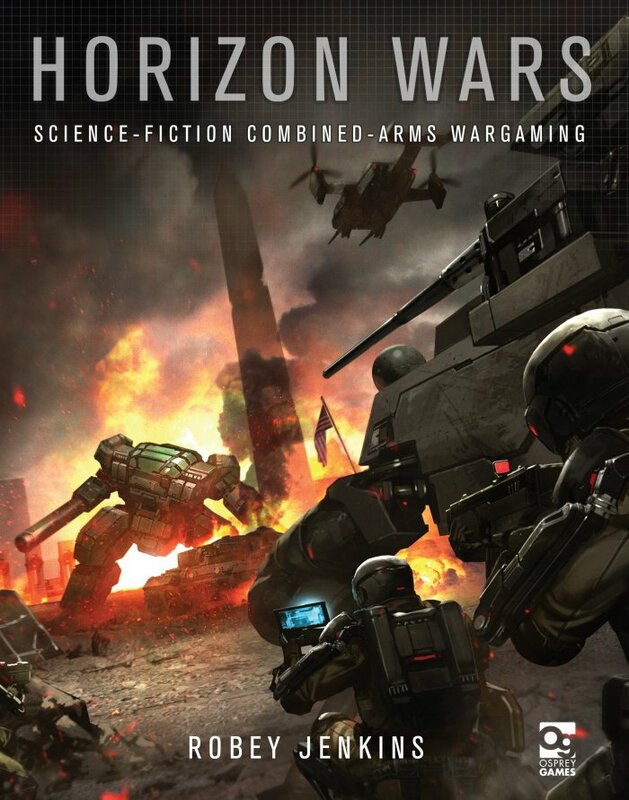 Combining the feel of real-world combat and tactics with versatile and quick-to-learn rules, Horizon Wars is a 6mm company-level game that incorporates ground forces, aircraft and the titans of the battlefield - mechs. Whether you want to pit a handful of mechs against each other in quick clash of patrols, or line up combined-arms forces for a huge battle, the game remains fast-moving and enjoyable. Also included are full rules for building units from the ground up, allowing players to tailor their forces to suit the mission objectives or their figure collections.